Happy Friday friends! Y’all, have you noticed the pineapples everywhere these day? If not, you are going to see them all over the place now. We went from chevron to fox prints to arrows and now pineapples and I am obsessed. 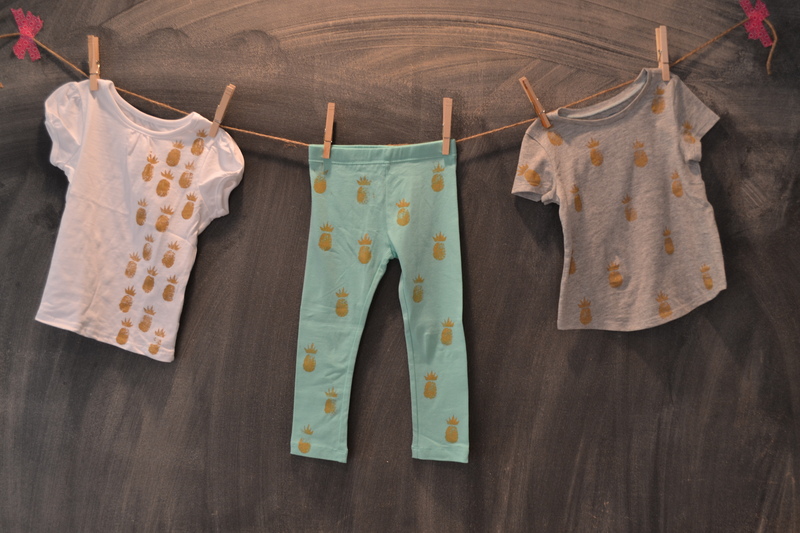 When shopping for my girls this past weekend I had to refrain from buying all of the pineapple goodness but I could not get the cuteness out of my head. 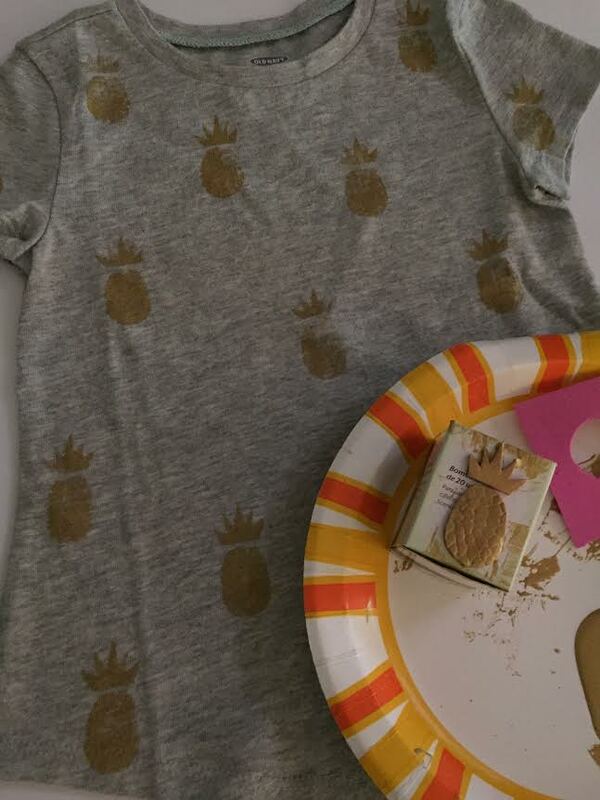 So, to fix that little problem I made my own DIY pineapple stamp and create some “sweet” pineapple fashion myself! Just look at the cuteness! 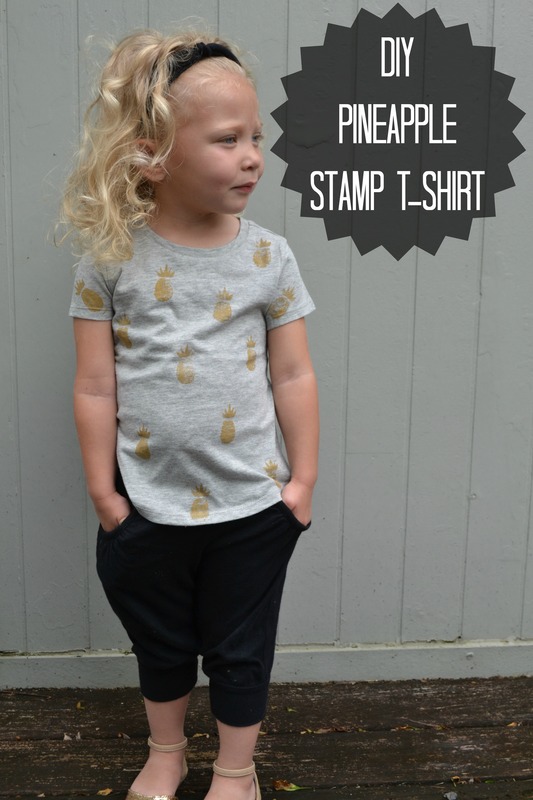 And the best part, this DIY stamp is super easy. 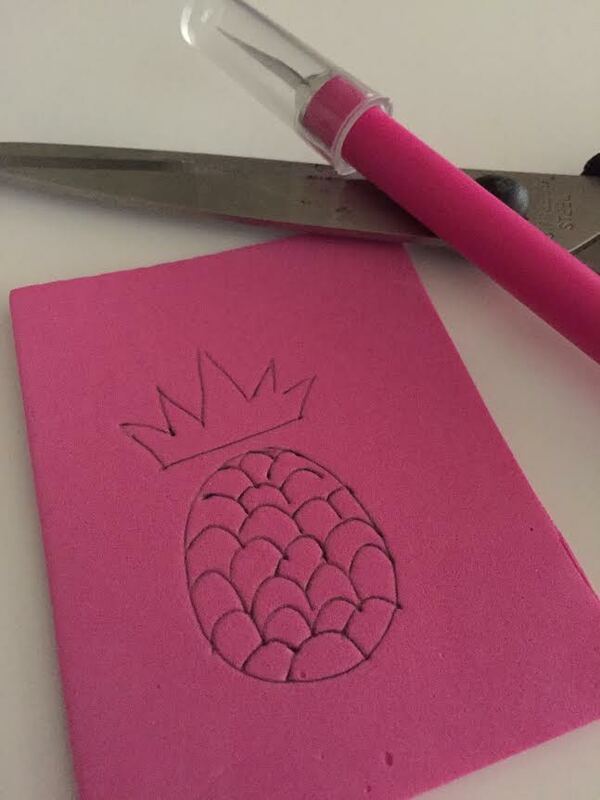 Step 1: Use your pencil to draw an outline of a pineapple. Create a large oval and then a top. 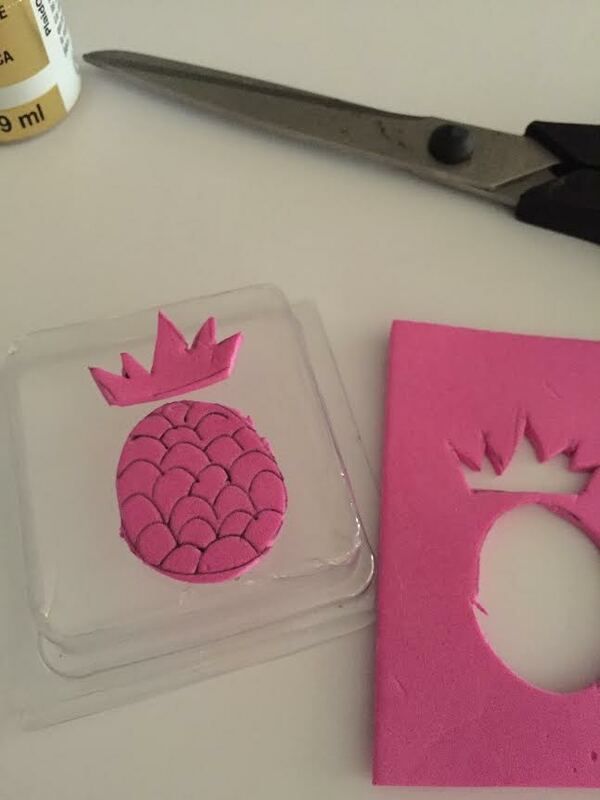 Make sure the top of your pineapple is not connected to the bottom to create a more interesting stamp. 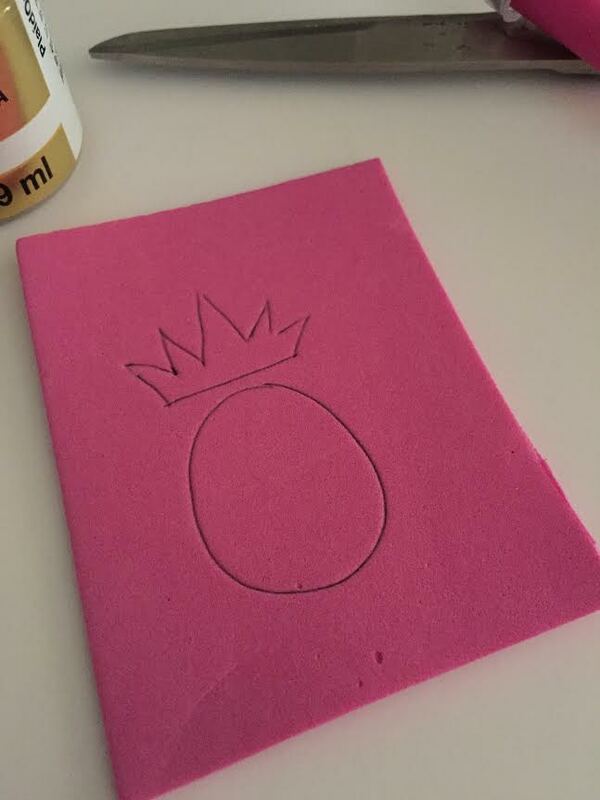 Step 2: Draw detail on your pineapple by adding scale like marks on your pineapple. Push down on your craft foam enough to show detail when you stamp but not enough to push through. 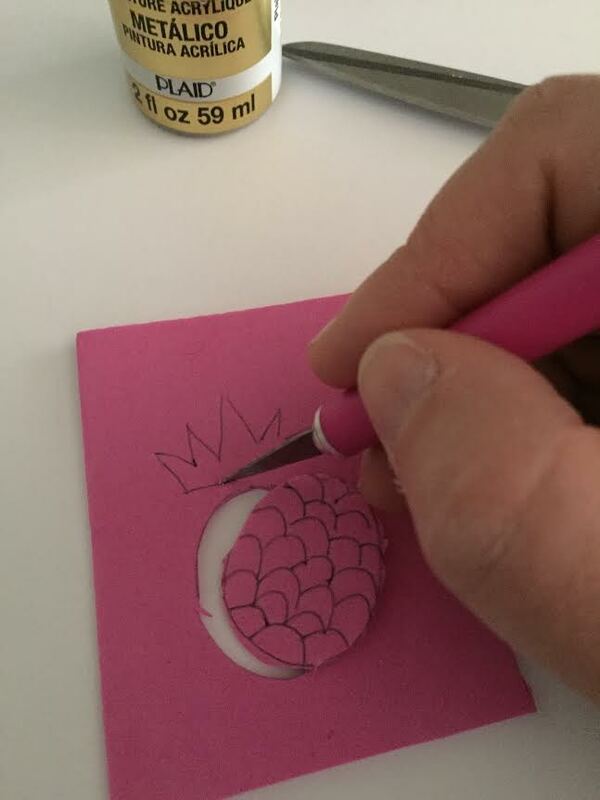 Step 3: Carefully use your x-acto knife to cut out your pineapple. 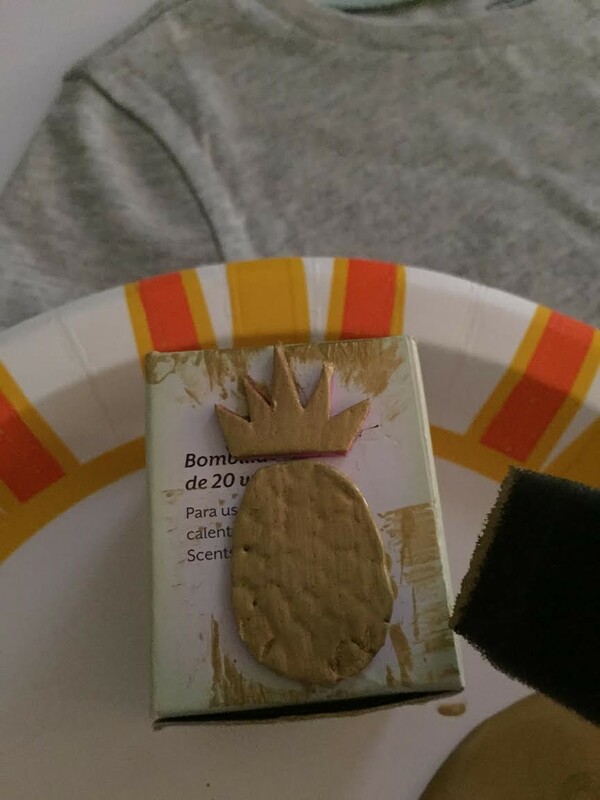 Step 4: Hot glue your cut out pineapple onto your small box or lid. I found that using a small box worked best. 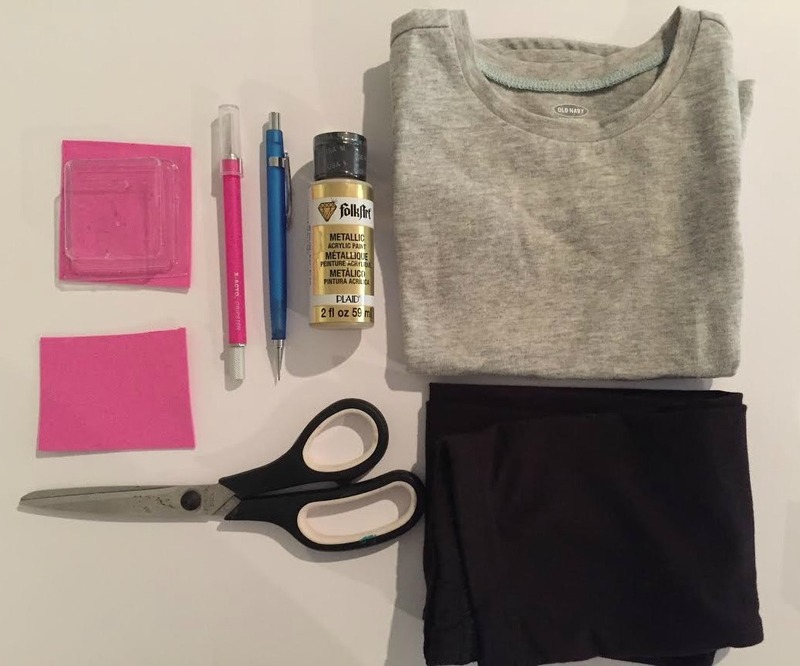 Step 5: Now that you have your stamp ready, lay out your piece of clothing, put a generous amount of paint onto your stamp and press firmly. Step 6: Repeat stamping process. 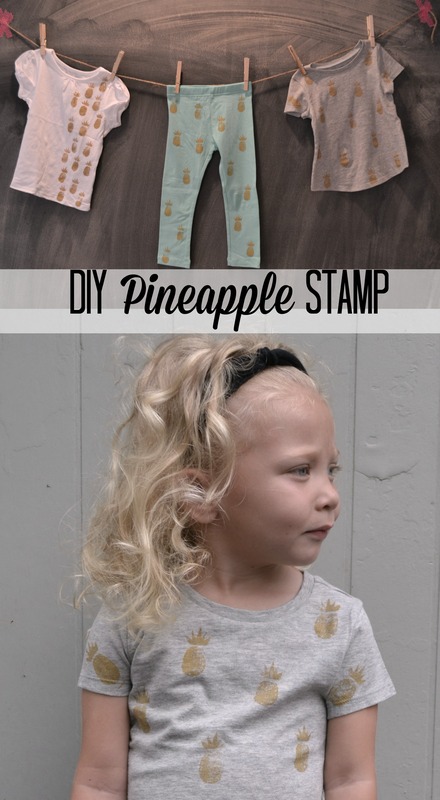 You can create so many cute patterns with your stamp so get creative! Step 7: Put this trendy cuteness on and rock it!